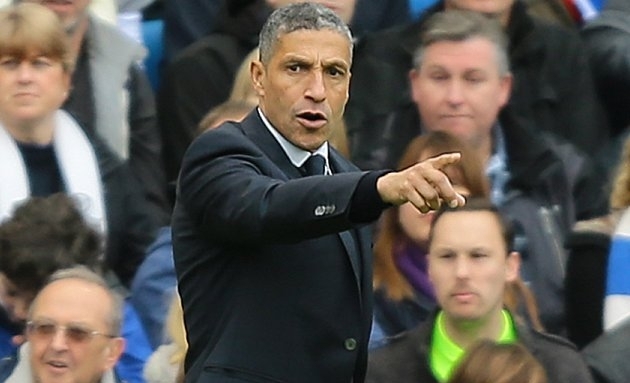 Chris Hughton says Brighton will continue their search for a striker. The Seagulls, who have yet to score in their first three Premier League games, came close to signing FC Zurich forward Raphael Dwamena, but a failed medical on Friday cancelled the move. “It’s disappointing but what we have to do is move on from there, unfortunately for us, and more unfortunate for the lad,” Hughton said, when asked about Dwamena’s failed transfer. “In the end, you can’t do anything about it. “It’s one of those things that happens, it’s not a usual set of circumstances, but all we can do is move on from that and go on to the next set of targets.